Who doesn't like Half Priced Pizza?! 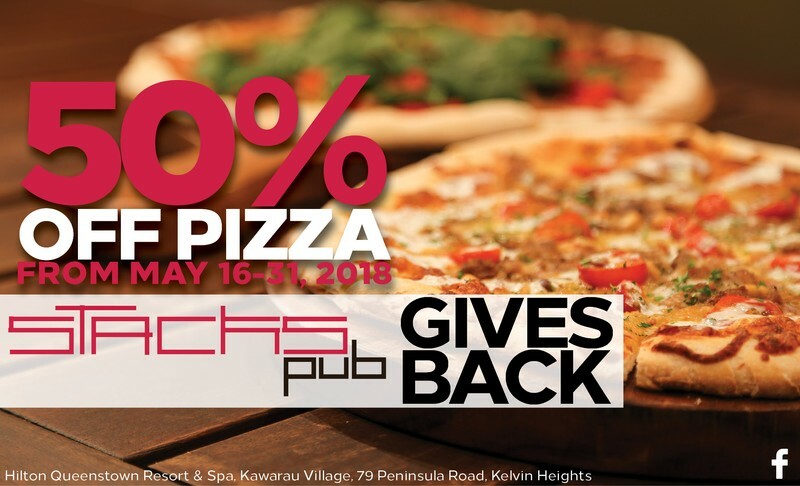 With Stacks Pub coming back from their Out of Office on May 16th, we will be welcoming you back with 50% any pizza until May 31st! Mark it on your calendars! We'll see you then! *T&C's apply. No further discounts apply. In-house orders only.